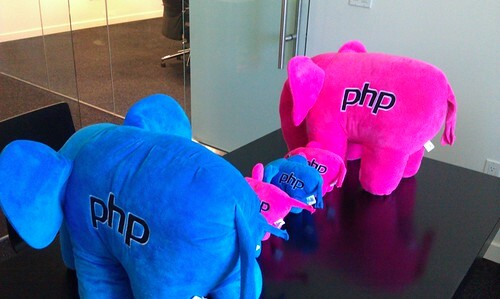 I recently ordered some elePHPants and have some left over for sale. I added a Paypal button to the right menu of my blog for anyone interested in purchasing them. I only have the small size up for sale. If you are interested in the large size contact me and we can discuss it. ElePHPants for sale! by Herman J. Radtke III is licensed under a Creative Commons Attribution 4.0 International License .